Jack E. Levin, #1 New York Times bestselling author of George Washington: The Crossing, presents a beautifully designed chronicle—complete with maps, portraits, and other Civil War illustrations—detailing President Abraham Lincoln’s historic Second Inaugural Address. As humble and faithful as the president who delivered it, Lincoln’s landmark Second Inaugural Address still resonates today. The speech was an attempt to unite a fractured people in a time when our nation was at its most divided, nearing the end of the Civil War. As you navigate this beautiful book, you’ll start to understand the significance and poetic power of this speech while you come closer to the man behind it. As an added bonus, Jack Levin’s son, #1 New York Times bestselling author Mark Levin, has written an illuminating preface about the importance of Lincoln’s speech and its lasting impact on history. Filled with historic paintings and illustrations from the period, this book is a dramatic rendering of a momentous American occasion. 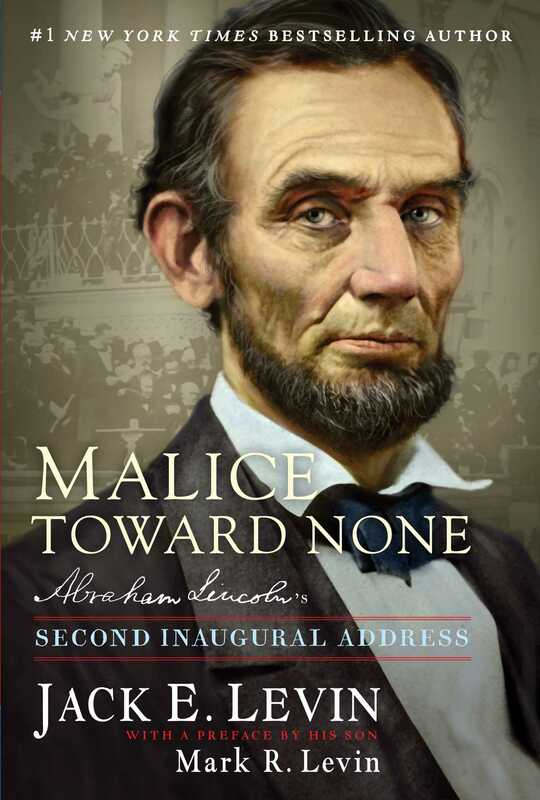 "A remarkable line-by-line examination of a Lincoln speech central to American values...with Malice Toward None, Jack Levin is giving the gift of an educational moment to Americans of all ages."